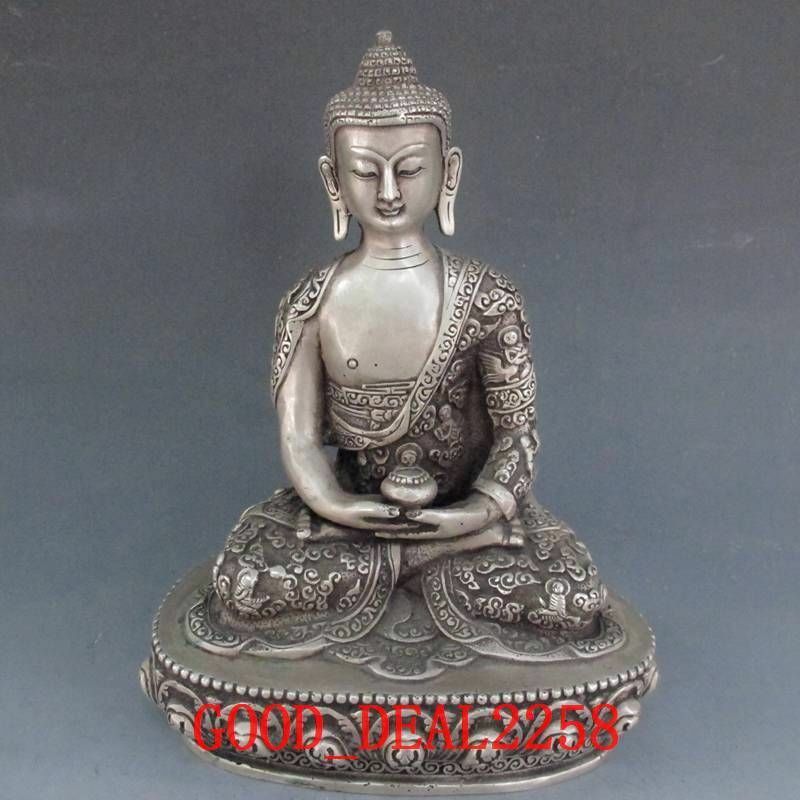 Amitabha Buddha, Buddha of Infinite Light, is a celestial Buddha in Mahayana Buddhism. 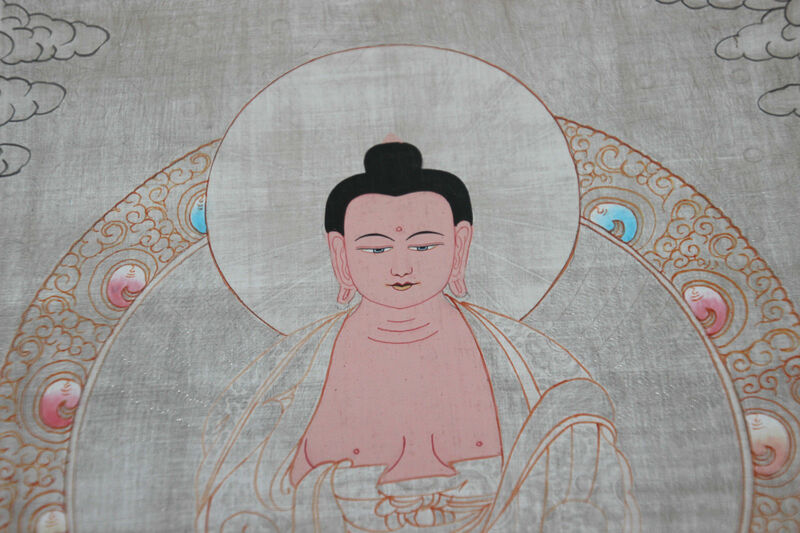 Amitabha is the principal Buddha in Pure Land Buddhism. Amitabha created his Pure Land called Sukhāvatī, where as part of his vows to become a buddha (his eighteenth vow), everyone is guaranteed into his Pure Land if they call upon his name as few as ten times. 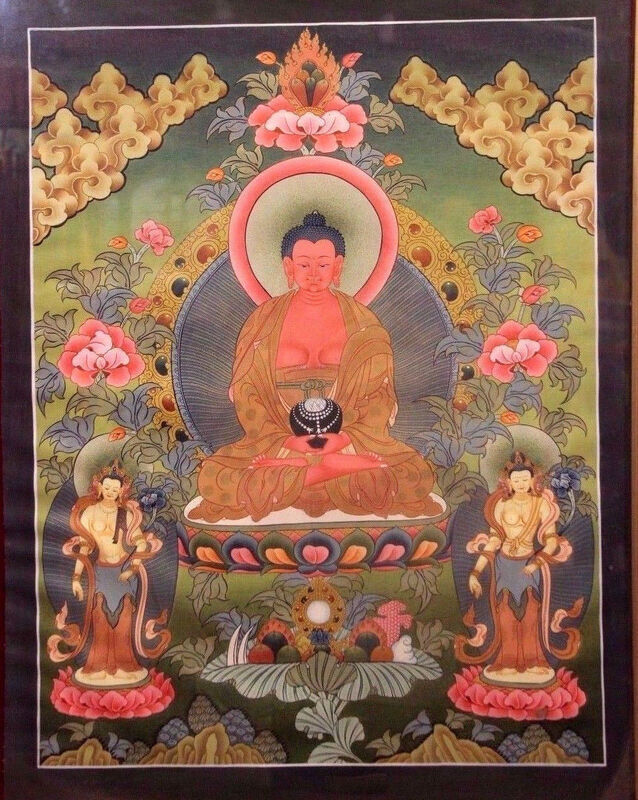 Visualizing Amitabha’s Pure Land and reciting his name during meditation, and reciting his name upon death, are the techniques used to be reborn in the Pure Land. 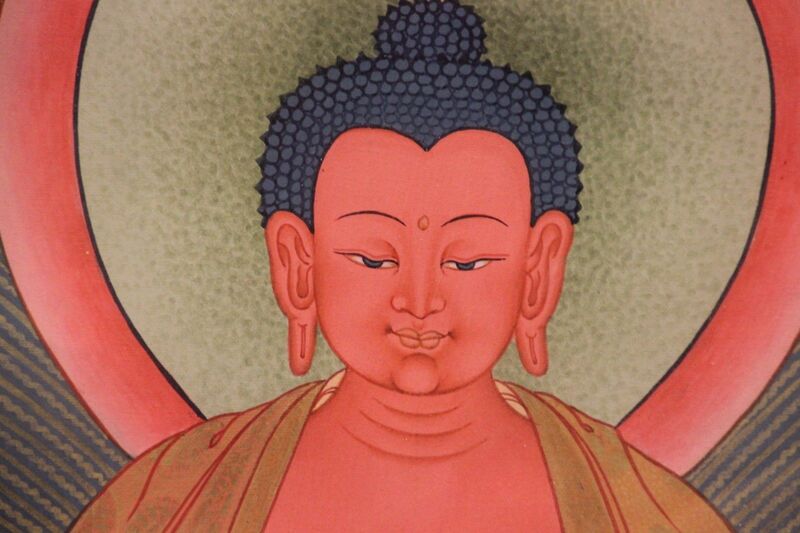 Amitābha is known for his longevity attribute, magnetising red fire element, the aggregate of discernment, pure perception and the deep awareness of emptiness of phenomena. Amitābha is considered one of the Five Dhyāni Buddhas as well. 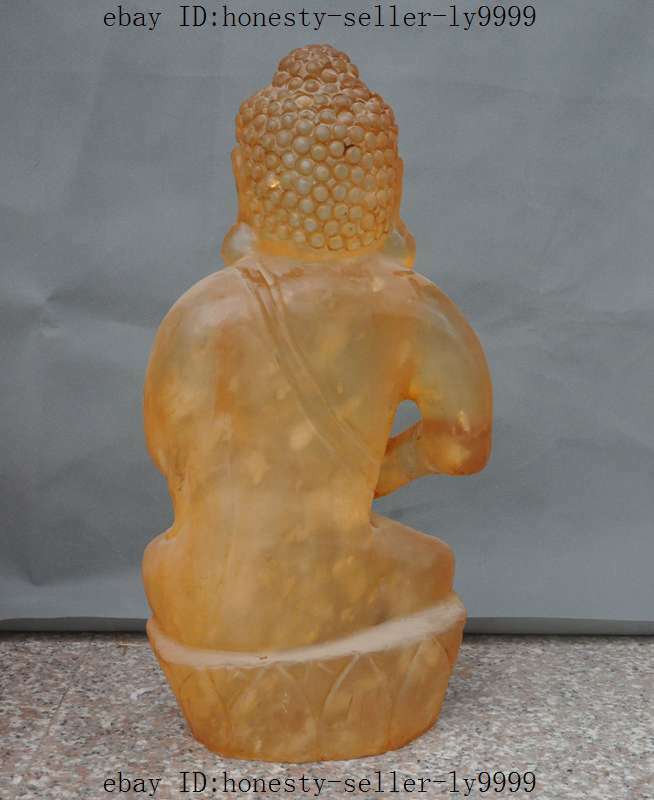 Amitabha’s statue is often shows him seated in meditation holding an alms bowl with both hands, while Sakyamuni Buddha holds the alms bowl, but his right hand is touching the earth. 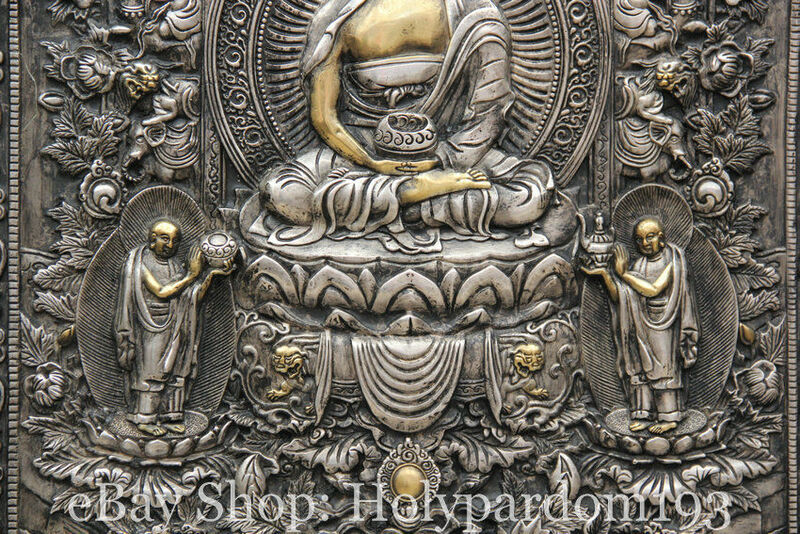 Medicine Buddha is slightly easier to distinguish out of the three because of the flower he typically holds in his upward and outward facing right hand. 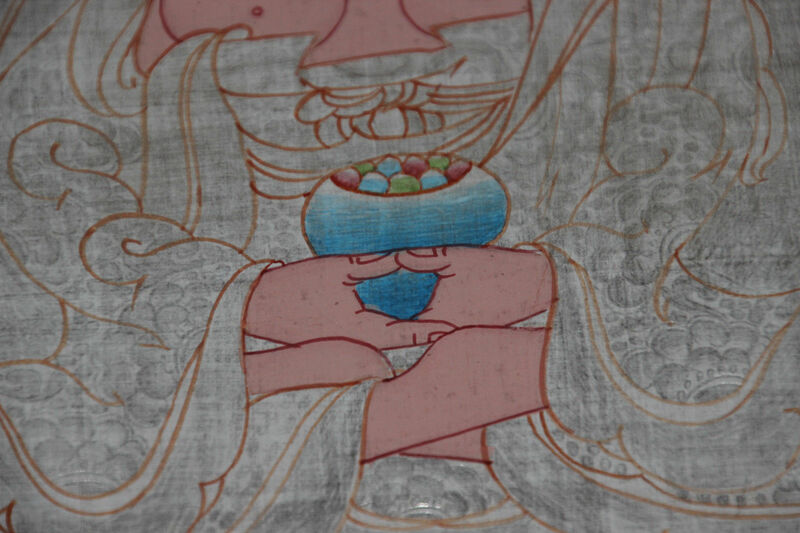 Amitabha shrine with inlay in turquoise and coral above. 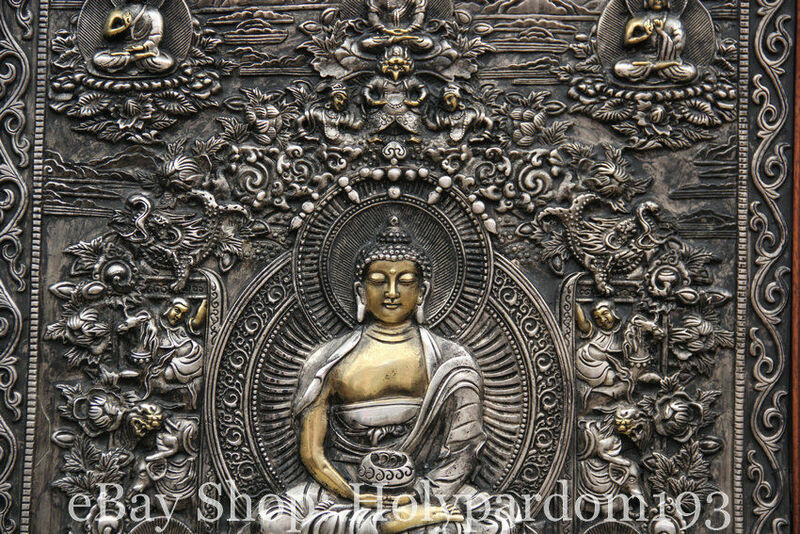 Part of a set of Buddhas. 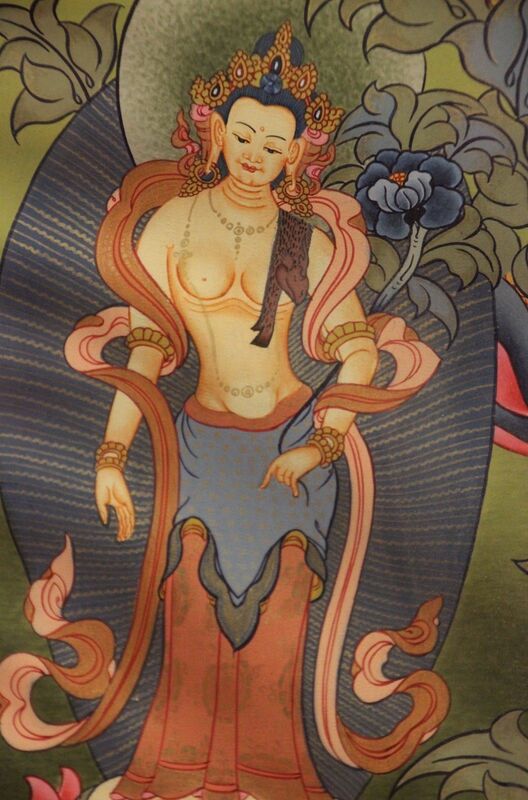 Though the posture of the statue above is similar to Amitabha Buddha, it may be this is a White Tara instead. 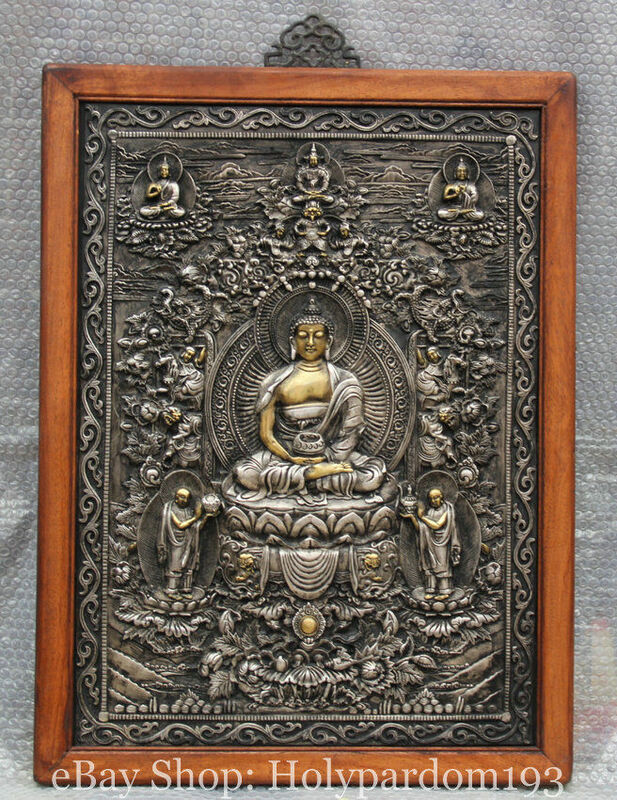 Because of its large size and apparent gilding in gold, it undoubtedly came from Tibet’s numerous monasteries that were robbed and destroyed. 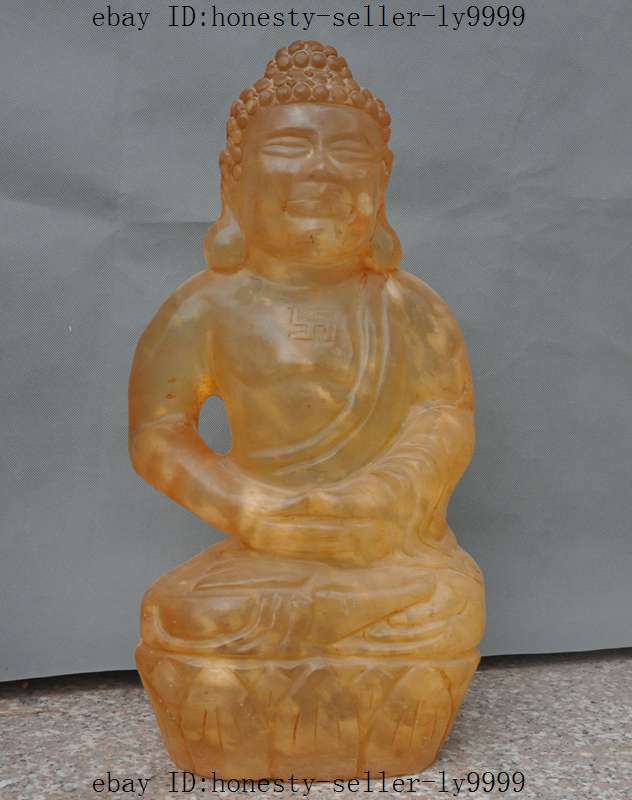 This type of smelted crystal (melted and colored) was invented by the Hongshan Culture over 1,000 years before Buddha’s birth. 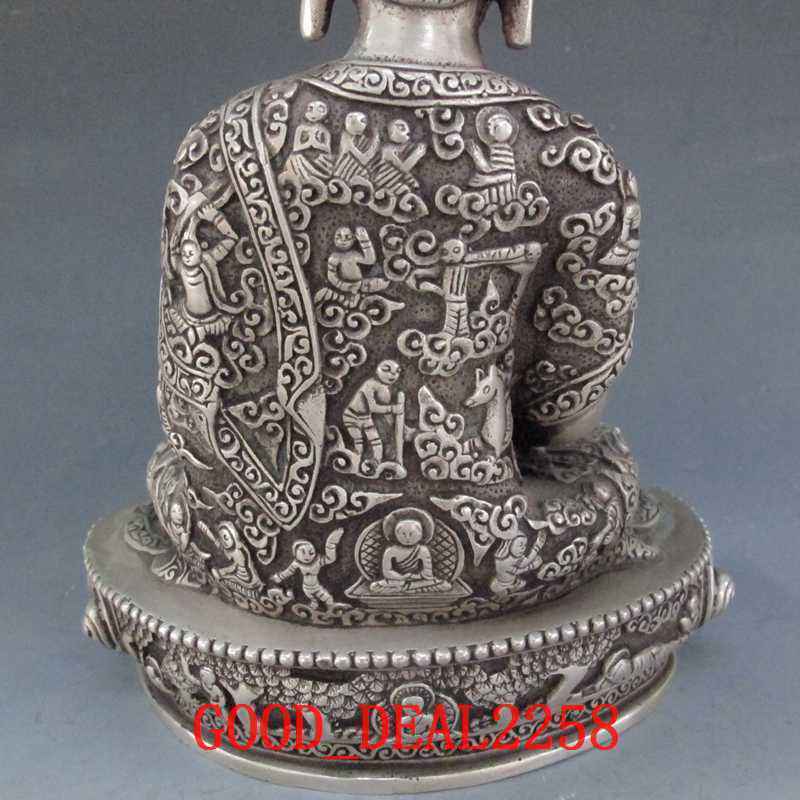 Though it is thought that the Hongshan Culture only existed in Northern China and only prior to Buddha, there are many relics like this one which indicate the culture not only continued to exist, but thrived and adapted over time (in Tibet and Sichuan? 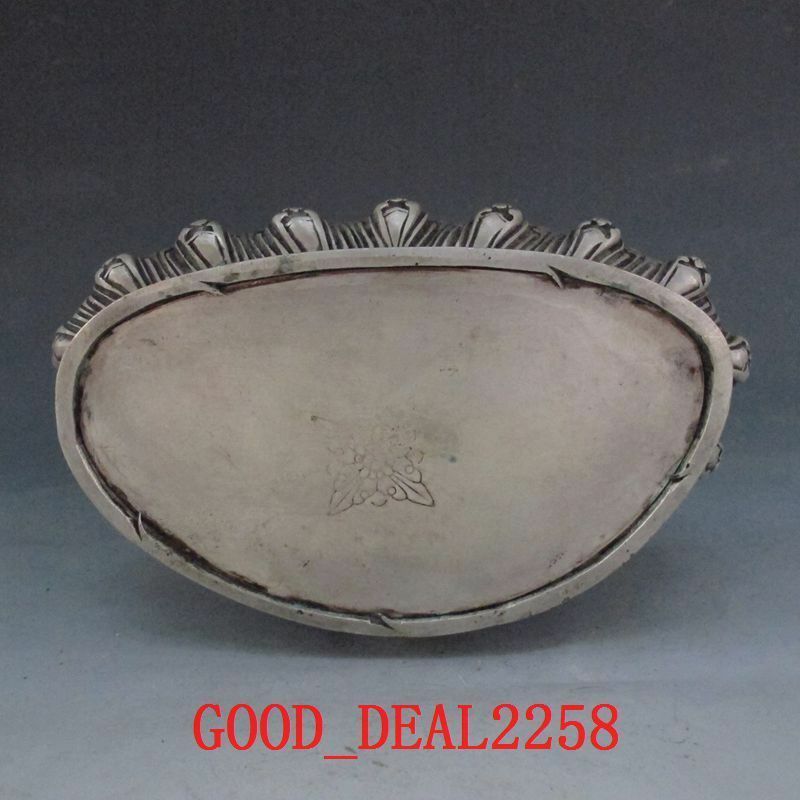 ), taking in new ideas while still preserving many of the old. 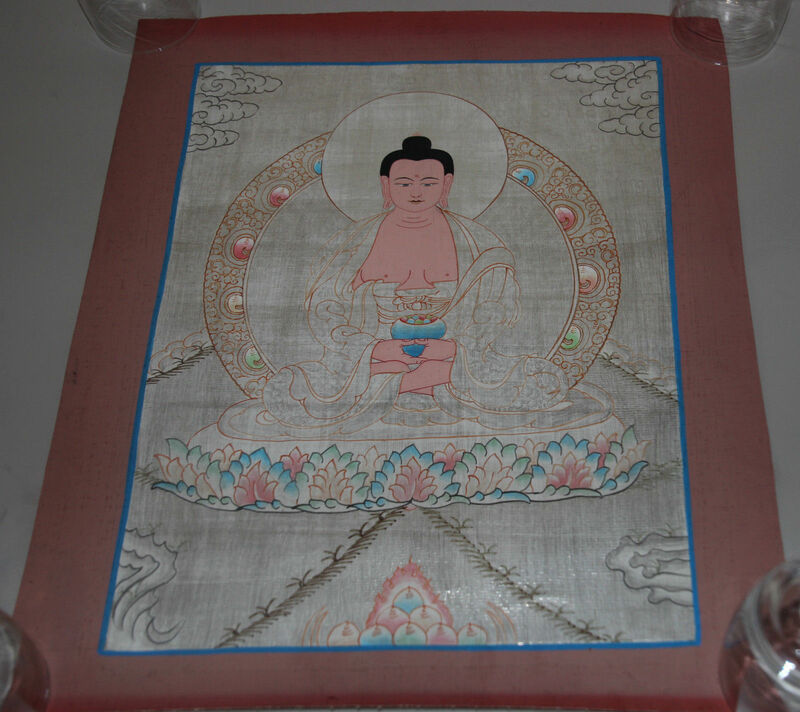 The picture above is a woven cloth, traditionally made from silk and precious metals like gold thread, more modern thangkas are woven by machine using synthetic fabrics. Below are oil paintings on treated cloth.